During the August 2006 testing session, antivirus products from 17 vendors were tested, including Avast!, Avira, Computer Associates, Eset, F-Secure, Grisoft, McAfee, Panda Software, Sophos, Symantec, Trend Micro, VirusBlokAda, Dr. Web, Kaspersky Lab and the Ukrainian Antivirus Center. * F-Secure Anti-Virus 2006 uses an antivirus engine licensed from Kaspersky Lab. ** The test was conducted using the latest versions of the following compression utilities: ACProtect, ASPack, ASProtect, Dropper, EXECryptor, ExeStealth, FSG, MEW, Morphine, NsPack, Obsidium, ORiEN, Packman, PECompact2, PESpin, Petite, Private exe Protector, UPX, WinUpack, yoda's Cryptor, yoda's Protector. 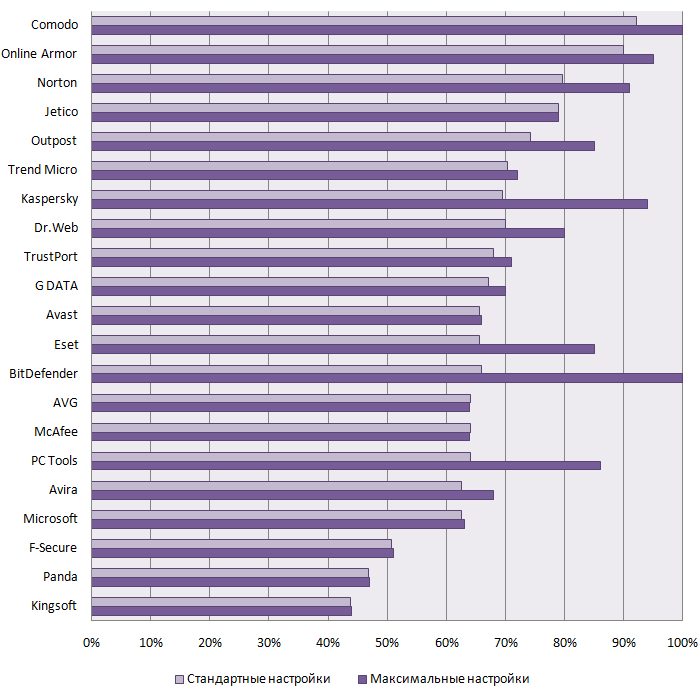 Only five out of the 17 antivirus products tested demonstrated acceptable packer support. These are products from the following vendors: F-Secure, Kaspersky Lab, BitDefender, Dr. Web and Eset. The results from other antivirus products were extremely poor. Since F-Secure Anti-Virus uses the Kaspersky Lab antivirus engine, it can be concluded that the Gold Packers Support was earned by a single antivirus engine (the test results for Kaspersky Anti-Virus and F-Secure Anti-Virus were identical, which can be clearly seen from the detailed test results, so it is no coincidence that both solutions have the same final result of 81%). The BitDefender and Dr. Web products also demonstrated high results – 76% packer support is short of the 80% required to receive the Gold Packers Support Award, but the Silver Packers Support award is well earned. Eset NOD32, which supports 57% of the packers used in the test, and is the fifth and last product to be awarded. The solution received the Bronze Packers Support Award.